Are you reading tons of information online, and you still don't know how to start? Sometimes It’s hard to decide where to start from and what to do first, especially in the beginning of a new project. If you are just starting an online business, or you are considering to do so, there are a couple of things you simply can’t go without. Here I will list some of the best resources for starting your personal website or growing your business one. The tools you will see below are highly recommended and used by thousands of people. I am personally using most of the companies you will see below and this is why I recommend them. 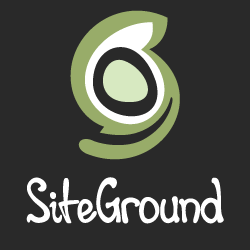 SiteGround – SiteGround is a Premium host which has been on the market since 2004. One of the things you will immediately notice if you decide to create an account with them is the unmatched support. You will be treated like royalty from professional customer care experts. But there is more to that. All of the packages are on lightning fast servers, optimized specifically for WordPress websites with superior performance. Additionally, the security checks they perform on a daily basis will make you feel more secure. These guys are great, they love what they do, and they do it really good. I highly recommend signing up for a hosting account with them. Get up to 60% off from the regular price using this link: SiteGround Promo. 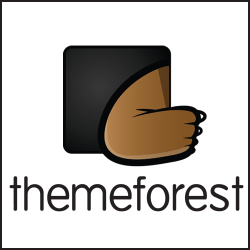 ThemeForest – The largest collection EVER, for WordPress themes and plugins. Currently, they offer 5,000 + WordPress themes 3000+ WordPress plugins to choose from. Owned by Envato market, ThemeForest is the best place for WordPress resources. A lot of the themes I’ve used and reviewed in my website narrowem.com are from this particular site, and I must say they have a lot of gems inside. Both, the themes and the plugins are separated in different categories so it will be easier for you to choose the section your website fits in. Find the best theme for your site visiting ThemeForest through this link. ThriveThemes – Conversion Focused WordPress Themes & Plugins. In most of the cases having less to choose from is the best choice. 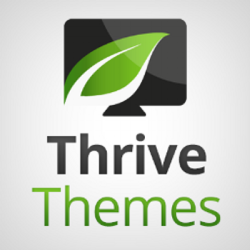 The themes provided from Thrivethemes are currently only 10 but they are extremely conversion focused, providing the owner with really unique layouts and design. I really love the themes and the plugins provided from ThriveThemes, they really know what they are doing and this is presented in all of the provided items. Elegant Themes – Beautiful WordPress themes that will transfor your website. If you are looking for slick design for your WordPress site, you should definatelly use Elegant Themes. After the huge success of Divi Theme, the developers released even better-looking and more functional theme – Extra. Although, you can use one of the other 87 available themes. Divi and Extra are highly recommended due to the available functionalities they have. 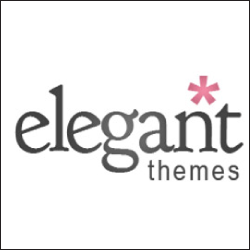 See all of them here: Elegan WordPress Themes. ThriveLeads – Grow your email list faster than ever before. ThriveLeads by ThriveThemes is one of the best plugins for capturing emails and growing your mailing list. It has a library of features that can be quickly implemented to your own WordPress website. Already, more than 10,000 people are using ThriveLeads on their owns sites and they are getting fast results. See all the benefits this plugin has to offer using this link: ThriveLeads Plugin. SumoMe – Tools to grow your traffic. SumoMe plugin is one of the best free tools for capturing email subscribers and growing your email list. It’s used by more than 300 000 people all over the world. Yes, it’s definitely worth using it. Besides email opt-in forms, when using SumoMe you can also easily add Social Media buttons, Smart Bar, Heat Maps and etc. See all the features visiting the official website: SumoMe. ConvertPlug – Convert more visitors into leads. ConvertPlug is relevantly new WordPress plugin for capturing emails. The main benefits of this plugin are the available features and the affordable price. You can see my full review here: Detailed ConvertPlug Review. The plugin has all the essential tools for growing your email list: exit intent technology, after post opt-ins, widget section, notification bar and etc. There is one more thing making this plugin really amazing, the customization process. You can easily customize all your forms and track conversion using the built-in analytics reports. Download the plugin from here: ConvertPlug WordPress Plugin. MailChimp – Creating email lists and regularly sending emails to your subscribers is an essential element of building successful online business. Luckily there is MailChimp, to help us achieve this task. 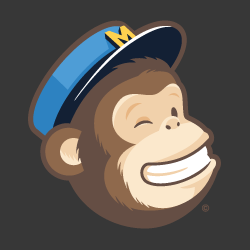 More than 7 million people and businesses around the world use MailChimp. The features provided by them allows you to send marketing emails, automated messages, and targeted campaigns. Additionally, their detailed reports will help you keep improving over time. 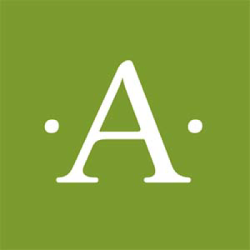 Akismet – Setting up Akismet for your WordPress site is one of the first things you should do, and you should do it quickly. Spam is a global problem and often WordPress comments are the place when bots try to enter bogus content full of links to their sites.  Akismet is an external service for battling spam. It has a database of known emails, IP addresses and username used for sending spam. When a visitor submits a comment to your website, it’s being checked by Akismet and put in a special Spam folder if it matches any criteria. Download the FREE plugin and configure it in less than 5 minutes, using this link: Akismet plugin. 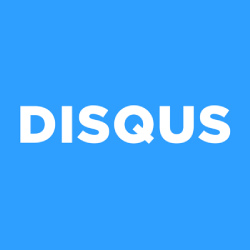 Disqus – Disqus comment system– pronounced “discuss”, is a service and FREE tool for web comments and discussions. By default adding comment to a WordPresss site requires to fill an email, name and etc, and a lot of the visitors are not willing to provide this information. Disqus removes those requirements and makes it easier for people to add comments; in addition, to that it has really awesome design. I really love using this plugin, you download it from this link: Disqus official plugin. Seo by Yoast – For SEO optimization I trust Seo by Yoast plugin. This is one of those plugins that you should definitely add to your website. It will help you improve on-page SEO; Writing better content; Submitting your XML sitemap, pretty much everything you will need to climb higher in Google searches. The free version of the plugin will be more than enough from the beginning. 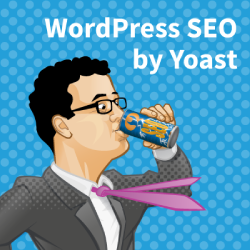 You can download it here: Seo by Yoast plugin. Monarch – Everybody knows how important it is to integrate buttons for sharing your content on Facebook, Tweeter and etc. And there is an elegant way to do so. 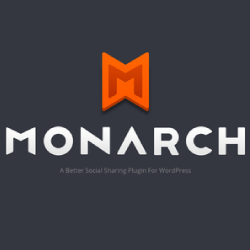 In my opinion, the best social sharing plugin available on the market is Monarch. 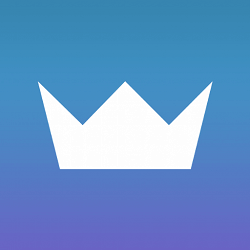 Beliaeve me, I’ve tested almost all social sharing tools out there, and there is nothing giving you the functions and the design Monarch does. 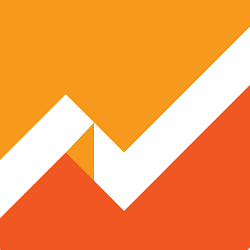 Google analytics – I cannot go without creating Google analytics account. Knowing how many people are visiting my website is essential for all of my projects, which I am sure it will be important for yours. Adding Google Dashboard and connecting it to your Google analytics account will provide you with all the information needed: number of sessions, number of visitors (users), page views, bounce rates, organic searches, pages per visit directly on your WordPress Dashboard. Create account here: Google analytics. 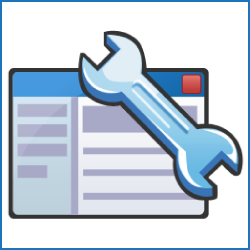 Google Webmaster Tools – This is a free service offered by Google that helps you monitor and maintain your site’s presence in Google Search results. You don’t have to sign up for Webmaster Tools for your site to be included in Google’s search results, but doing so can help you understand how Google views your site and optimize its performance in search results. You will want this for your website. Create an account using this link: Google Webmaster. Google Keyword Planner – I love using this tool when searching for new keywords I want to use. Keyword Planner is like a workshop for building new Search Network campaigns or expanding existing ones. You can search for keyword and ad group ideas, see how a list of keywords might perform, and even spy on competitors to steal their ideas. And yes, this is also FREE. 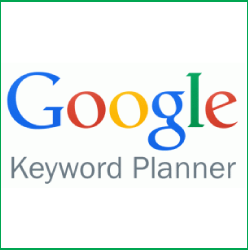 Find your keywords visiting the official site: Google Keyword Planner.